Infinitus Med Spa brings you the latest hybrid energy technology that delivers all of this and more. 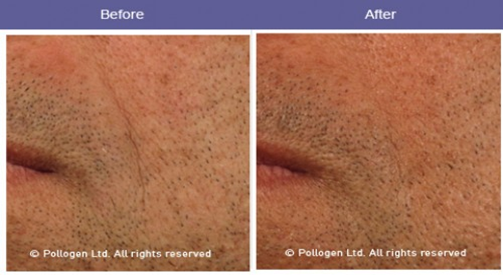 Our services feature Pollogen technology with a highly effective and virtually painless treatment that uses a combination of two non-thermal energies: Hot and Electric Invisible Micro Ablation. These energies are delivered via a sterile and disposable tip in a safe non-surgical process. This Hybrid Energy Treatment triggers your body’s response from within to deliver an auto production of Hyaluronic Acid, Collagen regeneration and Elastin growth. Your treatment does not require the introduction of any foreign substance. It works with your body’s natural mechanisms to give you natural looking results. This unique treatment method allows for on-going rejuvenation – so results are both immediate and long-lasting.